One Club. Two Teams. 1869 Base Ball. 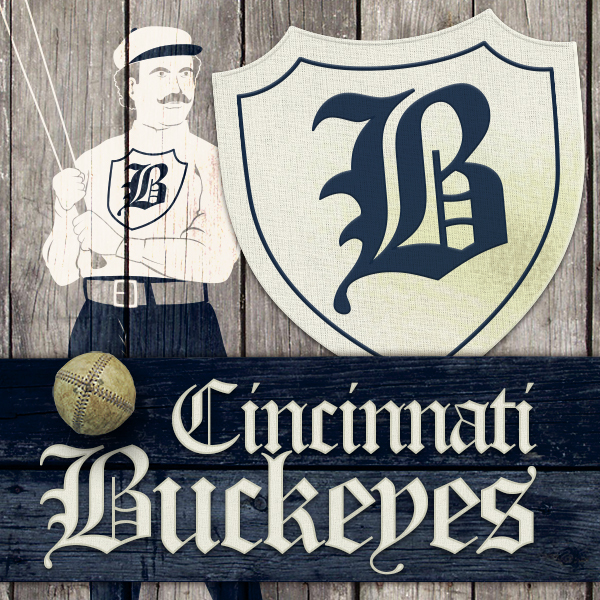 The Cincinnati Vintage Base Ball Club features two teams – the 1869 Cincinnati Red Stockings and the Cincinnati Buckeyes. Please select a team to find out more about them and when/where you can catch them in action. The Cincinnati Vintage Base Ball Club is a non-profit organization dedicated to faithfully recreating the sport of base ball as it was played in 1869, the year the legendary Cincinnati Red Stockings famously introduced professional base ball to America and defeated every team it faced. 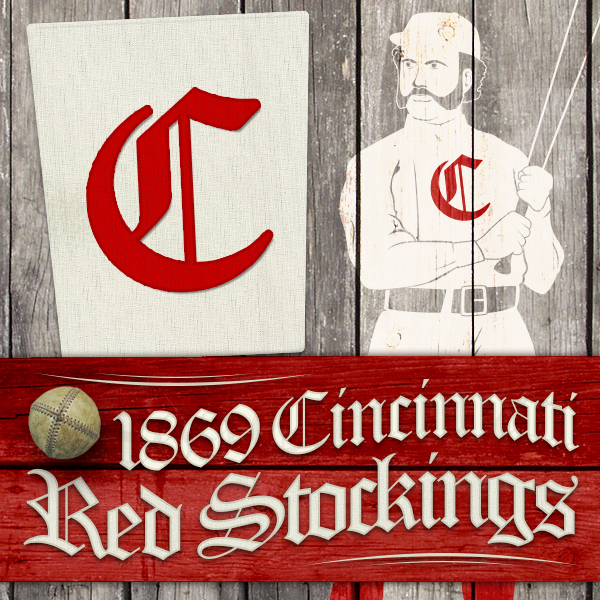 Our club features two teams, the 1869 Cincinnati Red Stockings, and their local rivals from the time, the Cincinnati Buckeyes, who have been playing vintage base ball since 2000 and 2001 respectively. Both teams play in accurately recreated uniforms, with equipment made to the standards of the period… with no gloves, as gloves were not widely used until the 1880’s. We utilize the rules, customs and terminology of the day, maintain honest sporting attitudes during play, and field capable, gentlemanly ball players from all walks of life who share the same love for the game of base ball. The result is an educational, historic and entertaining experience that anyone can enjoy. We make our home at Heritage Village Museum in Sharon Woods Park, just north of Cincinnati, OH. This small village of relocated buildings from the era makes the perfect backdrop for a game of vintage 1869 base ball. We also travel to many historical places and events in the Tri-State and all around the Midwest, playing dozens of other vintage base ball teams from across the country. If you would like to witness a game of 1869 base ball, please view the Red Stockings or Buckeyes schedule. If you would like to become a player or join the club in another capacity, or if you would like to host a game of 1869 base ball at your next event, please contact us and ask.